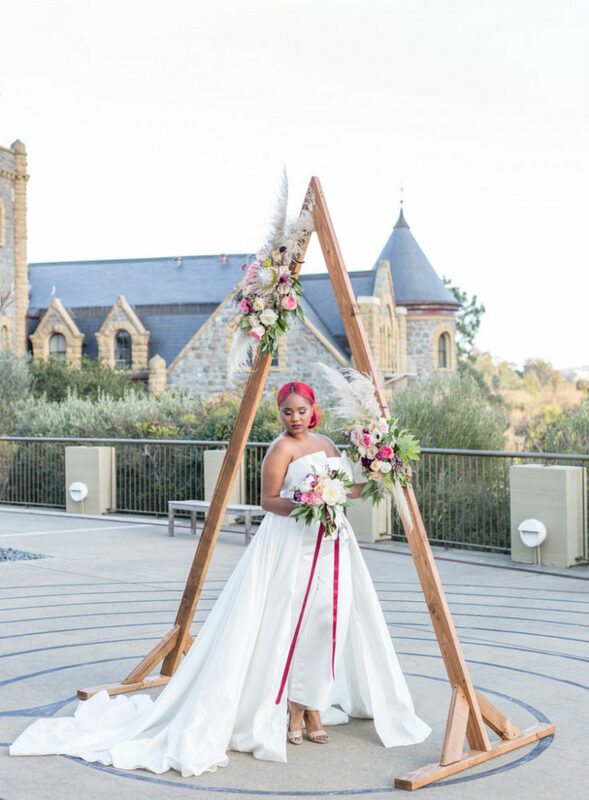 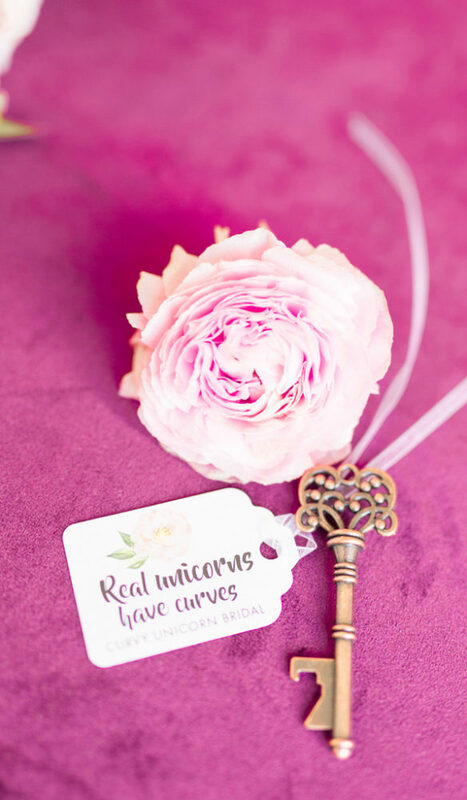 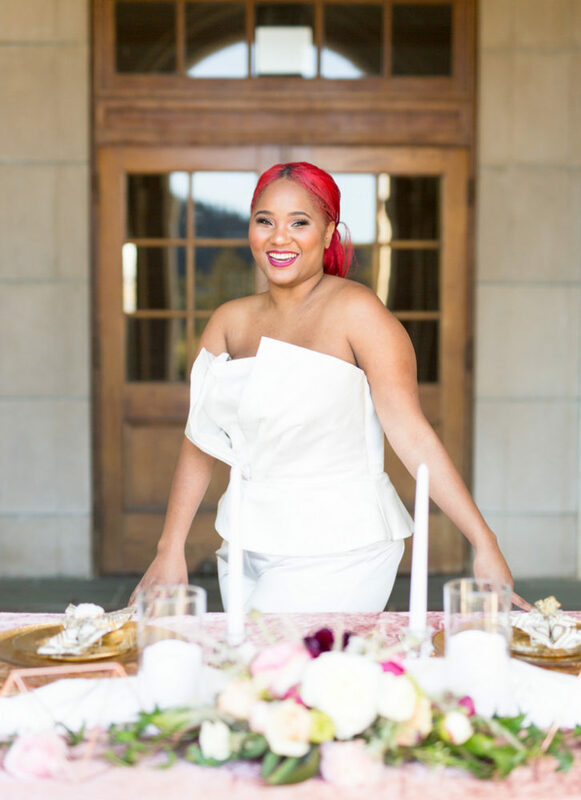 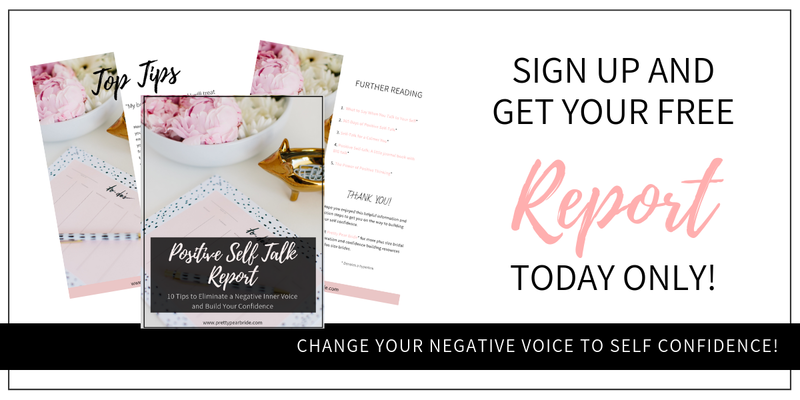 With beautiful weather and summer right here, the Curvy Unicorn team set out to have a summer velvet inspired styled shoot. 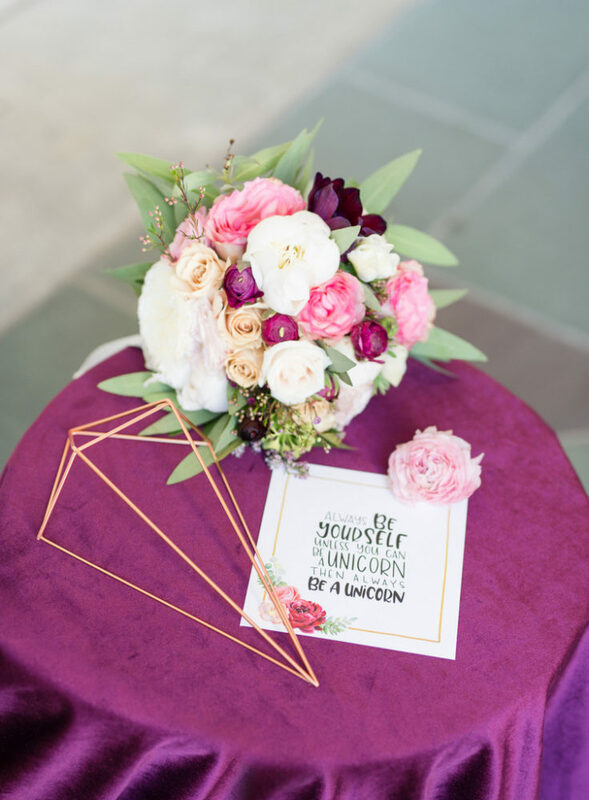 From the team: We knew that we wanted something very different and right now we are crushing on velvet and geometrics. 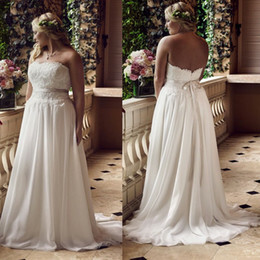 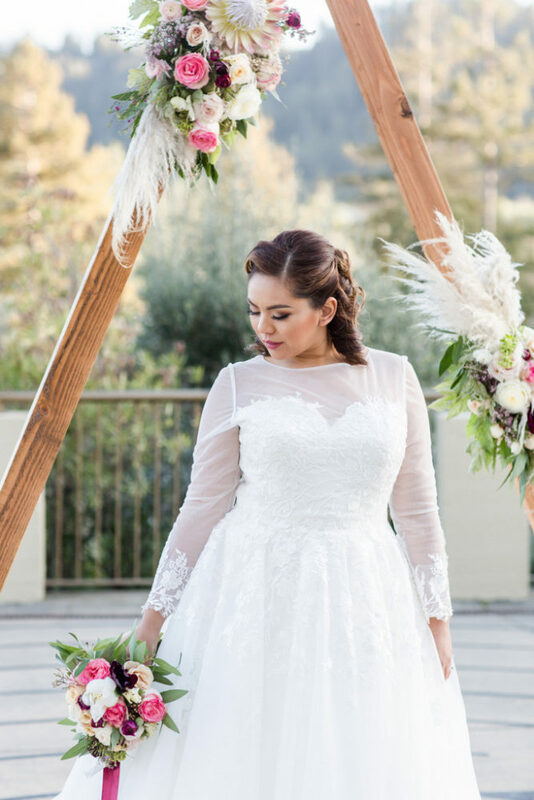 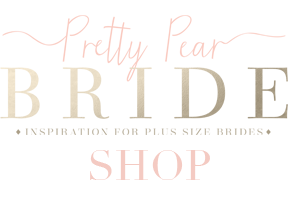 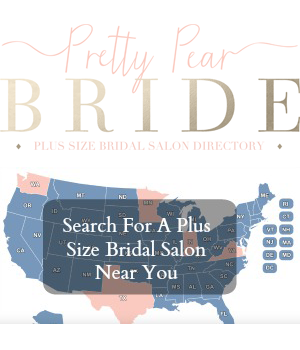 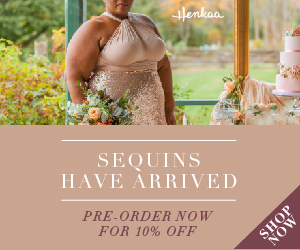 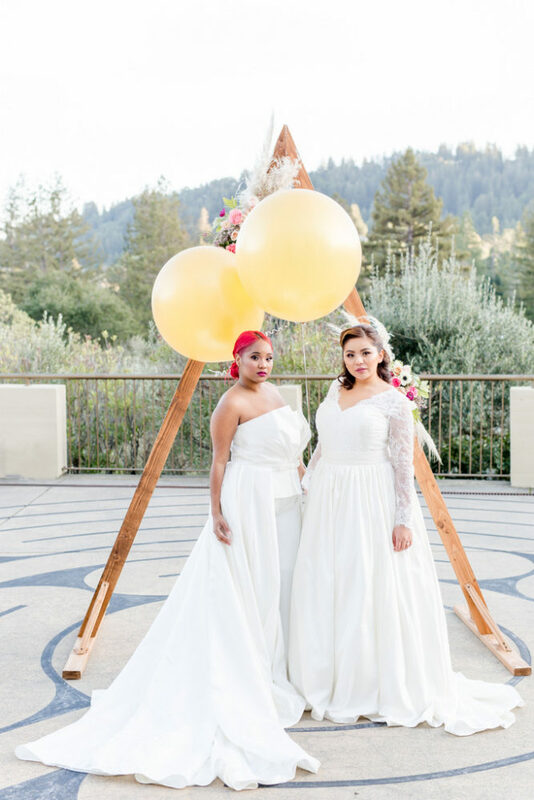 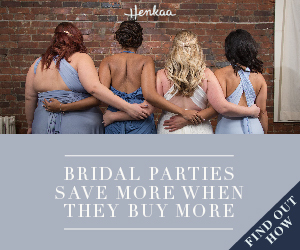 We wanted our decor to highlight our beautiful plus size models to wear our grace collection from Curvy unicorn Bridal. 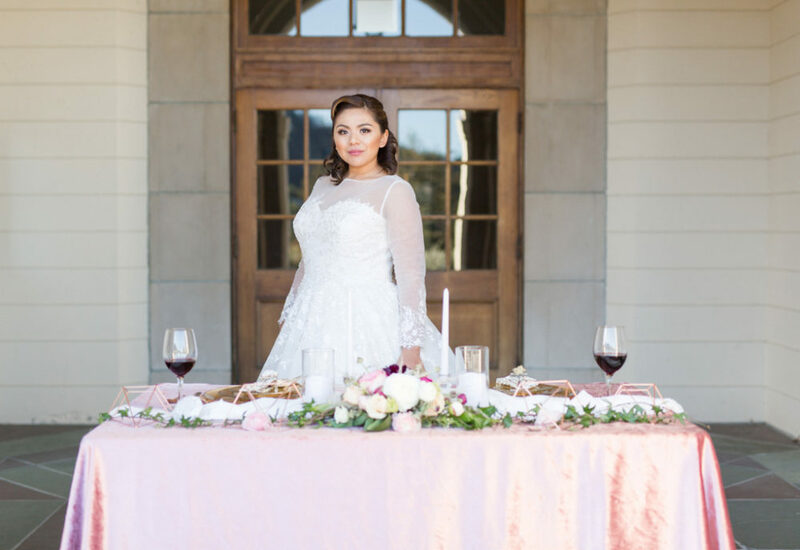 Our tablescape is adorned with a gorgeous dusty rose table linen and chiffon runner with stunning plates & napkin rings from Z gallery. 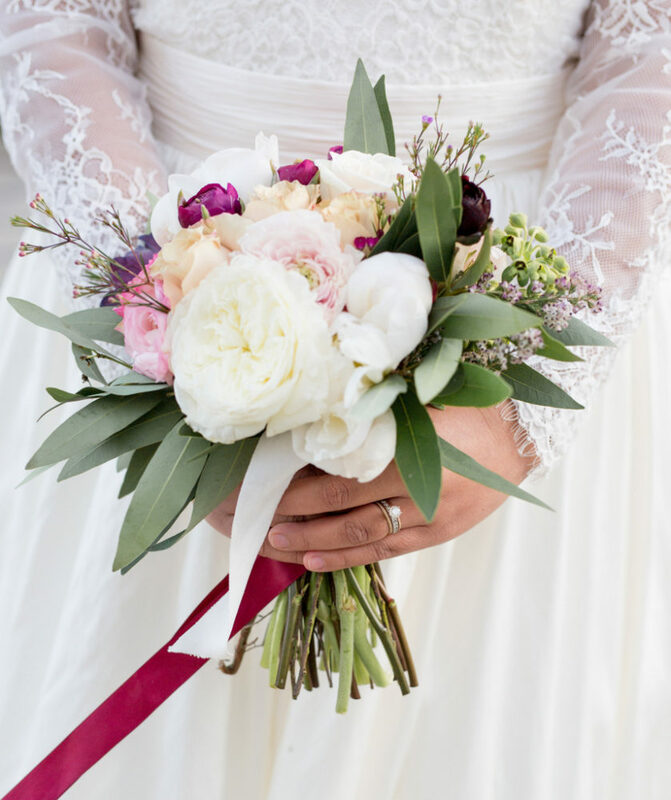 Finishing it all of with a beautiful floral centerpiece. 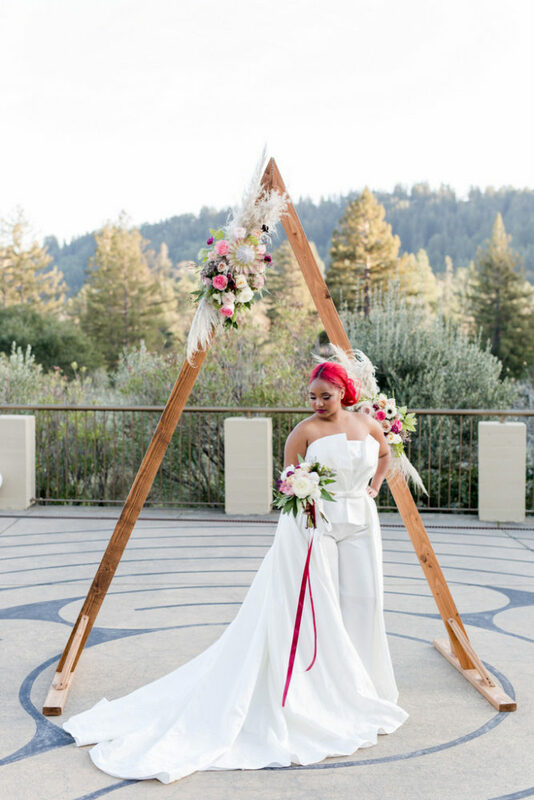 The Ceremony space: This was one of our favorites to design, we worked with Daniel & Chrystal of 3 stage lighting to create a stunning ceremony space, the triangle alter was giving us all the feels. 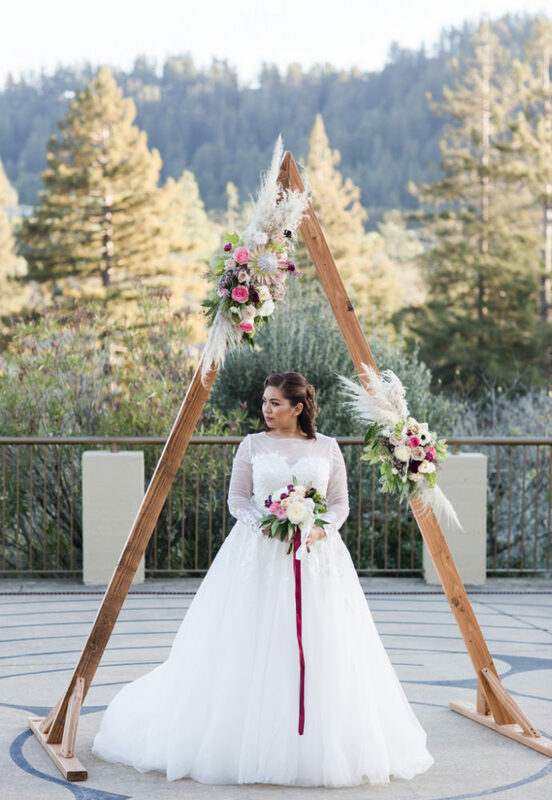 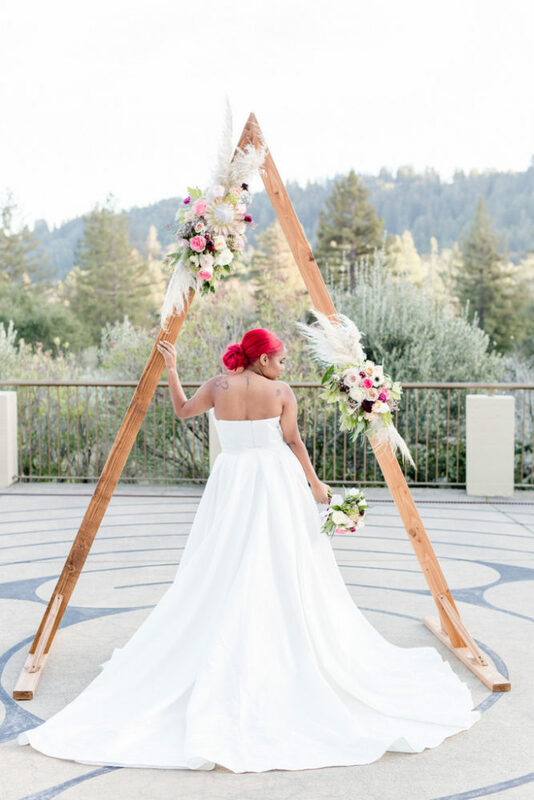 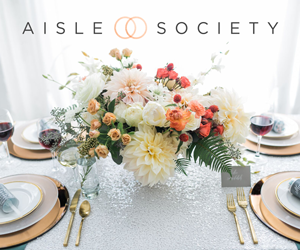 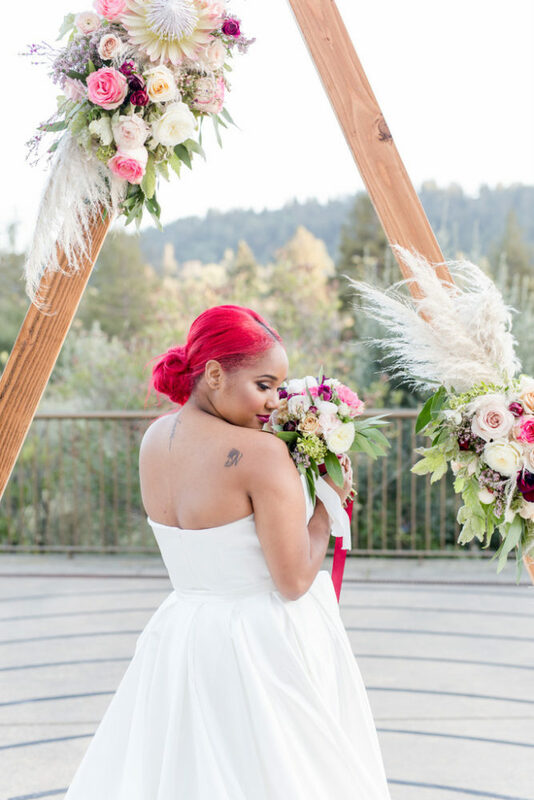 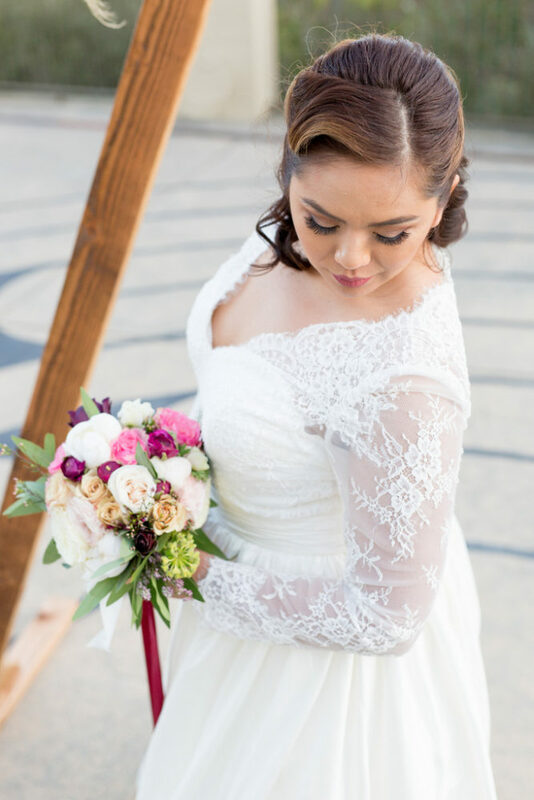 Marie from SF bay blooms worked her magic and adorned the backdrop with beautiful blooms. 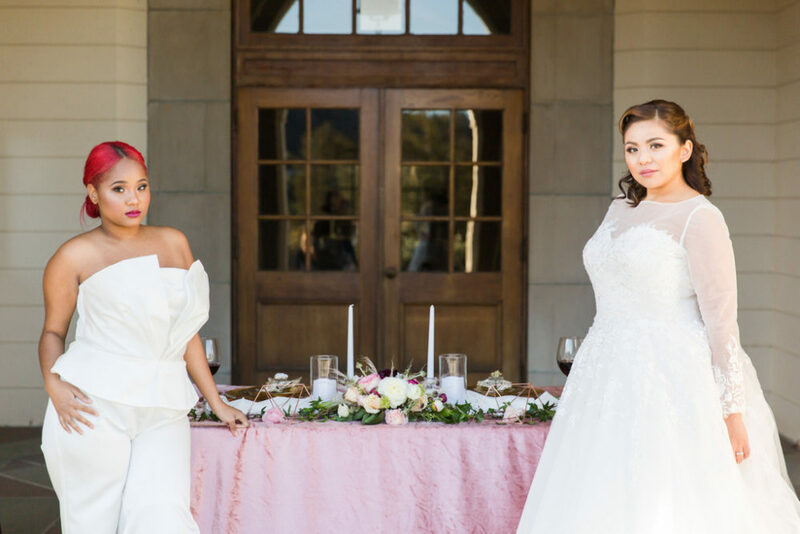 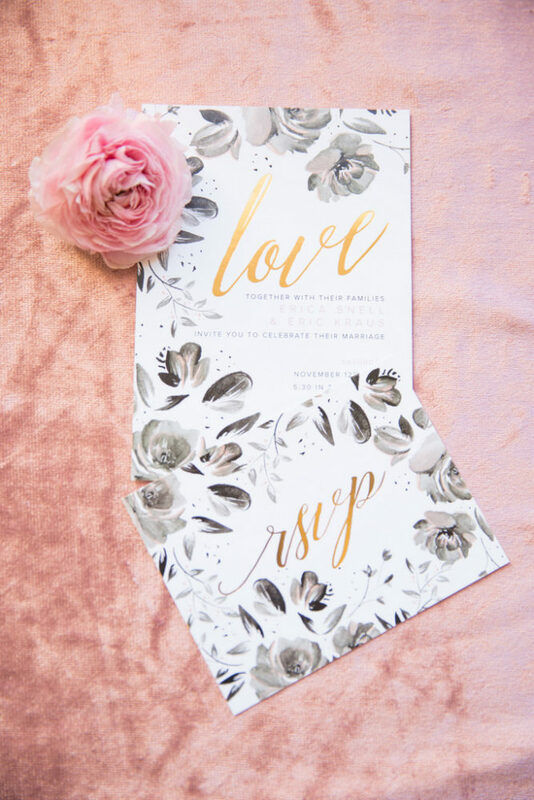 This styled shoot was all things dreamy and stunning our models looked gorgeous in the Bella gown, The Roxy pant’s suit, and The Rose.